Join us for the social event of the season! 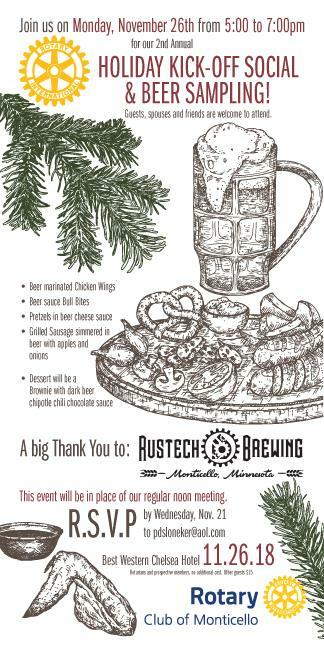 Bring your family and enjoy excellent food and paddle raffle! Last year's event was so much fun that we decided to do it again! Rotarians and prospective members are free to attend. Other guests are $15. We have been so fortunate to have Pia and Gia, our inbound exchange students, here with us this year! Happy Graduation to you both! 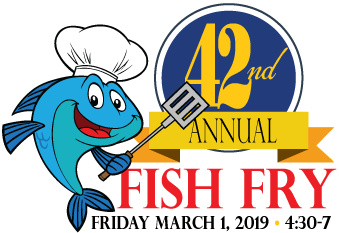 Join us at the 41st Annual Rotary Fish Fry! Excellent Food and Paddle Raffle for Prizes! 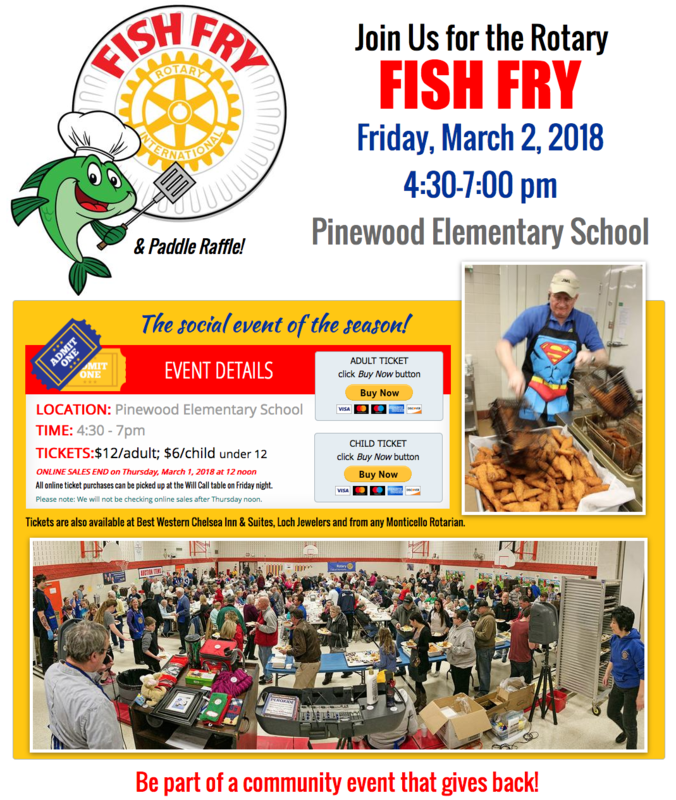 Proceeds raised go towards funding our service projects such as Teen Crash Avoidance and Car Control Classes, Otter Creek Park, Natural Playground at Bertram Chain of Lakes, Grad Party, Dictionaries for 3rd graders at Pinewood and Little Mountain, Scholarships, Career Day, STRIVE, Shelter Box, Beds for Kids and so much more! 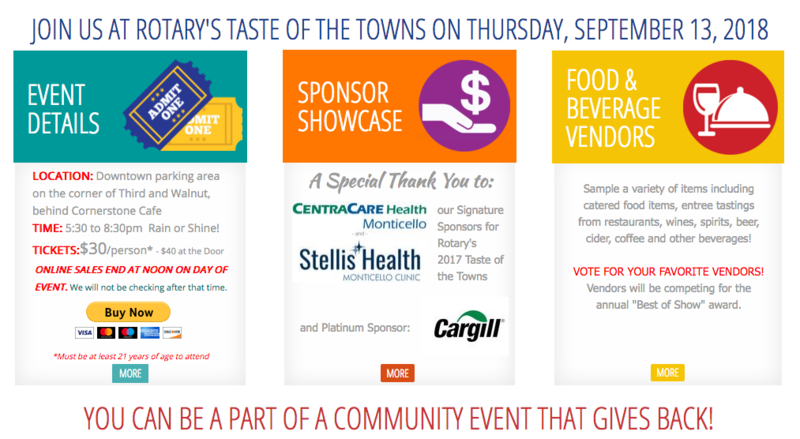 We would like to Thank all of our generous sponsors who help make this event possible! Last year over $22,000 was raised for community! THIS CLASS COULD SAVE A LIFE. High school-age drivers: Watch for the fall Monticello Community Education catalog for upcoming dates and then call a friend to join Alejandro Sanchez and fellow experienced race drivers for one of these classes. 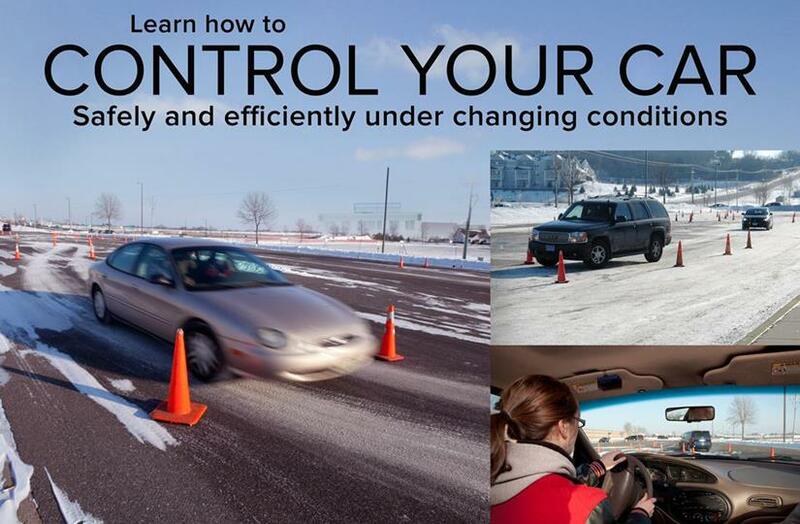 You'll learn and practice skills required to control your vehicle under both adverse and everyday driving conditions. 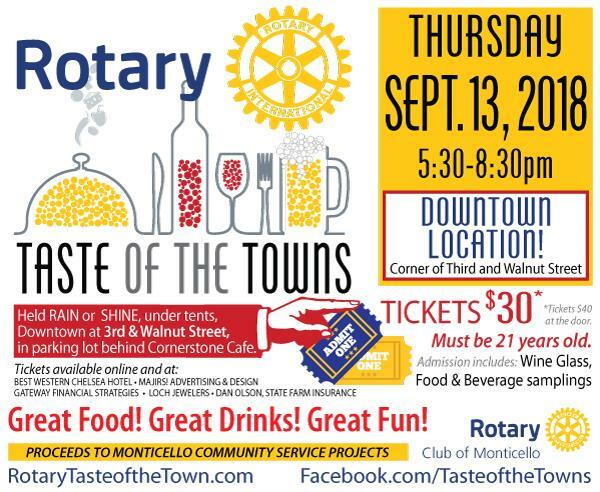 With funding assistance from the Monticello Rotary Club, you pay only $55 for a class that is worth much more. Dan C. and Michele just returned from the North Central President Elect Traning Seminar this past weekend in Des Moines, Iowa. Along with learning, sharing and meeting a lot of great people, they also had the pleasure of hearing Rotary International President-elect Ron Burton speak at Friday night’s dinner. Pres.-Elect Burton is from Oklahoma and has been a Rotarian since 1979. 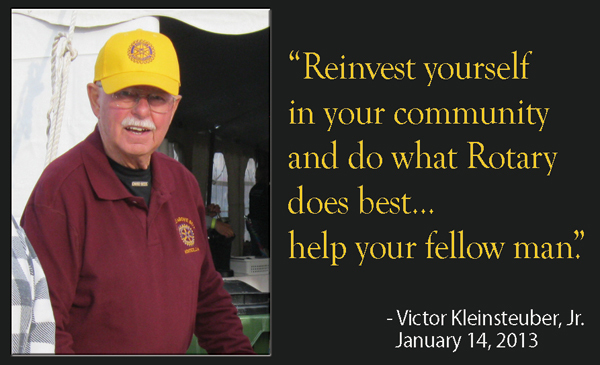 Our fellow Rotarian, Vic Kleinstuber passed away peacefully on Tuesday, March 19th. Vic, you will be missed. Visitation was held Wednesday, April 17, 2013 from 4 to 7pm at Peterson-Grimsmo Chapel, 250 E. Broadway, Monticello. A Celebration of Life will be held Thursday, April 18, at 11am at Resurrection Lutheran Church, 9300 Jason Ave. NE, Monticello. Happy 25th Anniversary to Monticello Rotary Club's first female members,Ollie White and Grace Pederson! 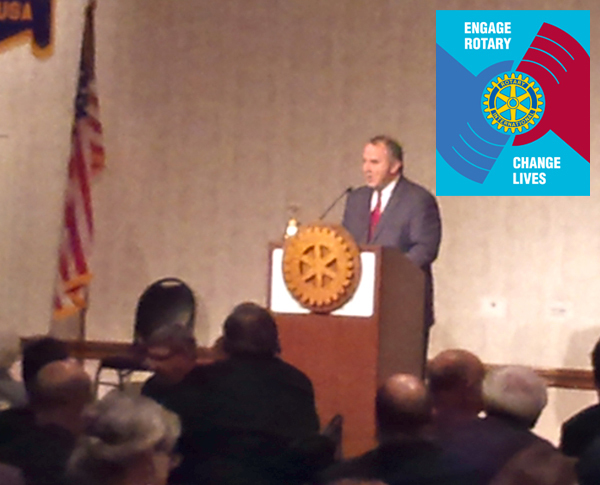 One of the goals of the Monticello Rotary Club is to continue to build our organization for the future. That means introducing the Rotary concept to a younger audience and engaging them in a way that will lead toward recruiting the next generation of Rotarians. Although we currently have initiatives that are reaching out into Millienial and Gen X demographics, we wanted to make sure we captured the interest of even younger generations by expanding engagement with our local high school. As a result of this thinking, in September 2012, Chris Kruse, a past president of The Monticello Rotary, and Tara Rosh, at Monticello High School, approached students to determine their interest in forming an Interact Club, Rotary International’s model for Rotary in High Schools. 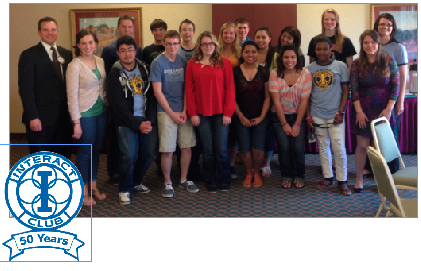 An Interact Club was formed with more than 40 student members initially. 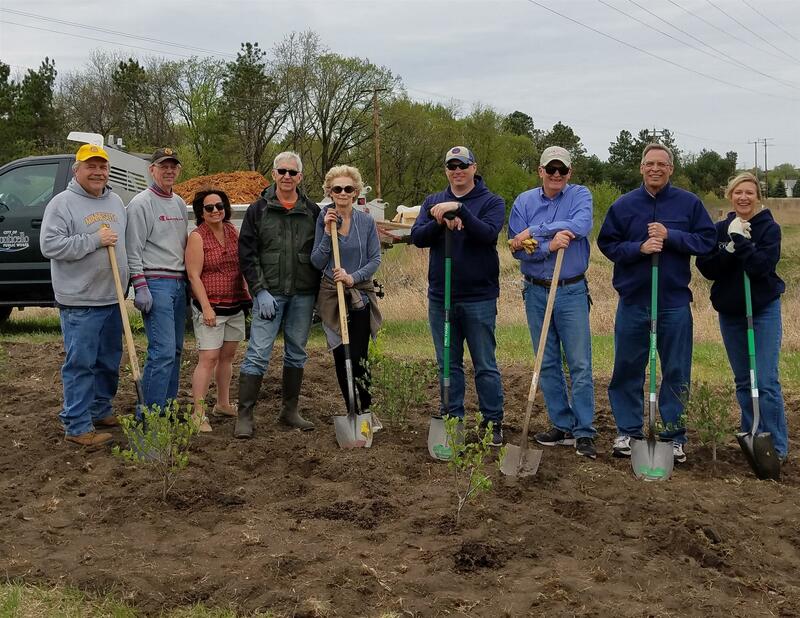 The Interact organizational infrastructure was put into place, and officers began and continue to attend many Monticello Rotary meetings. 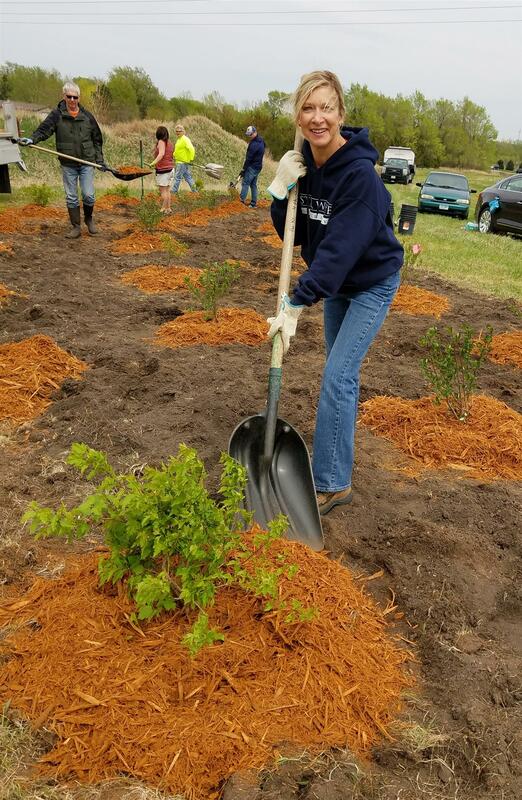 Since the club’s founding, several local and international projects have been initiated by The Monticello High School Interact Club. These student-led projects have included (1) “Walk for Literacy”, benefiting the Cambodian Library project, (2) an international project which provided diapers and bandages for Hospitals in Guatemala (News article and pictures attached), and, most recently, (3) a “Senior” Prom event with students hosting a prom, complete with make-up sessions, and hair-do’s for the ladies for residents of St. Benedicts Senior Assisted Living Community. Most gratifying is that participation in these projects has not been limited to the 40 some members. 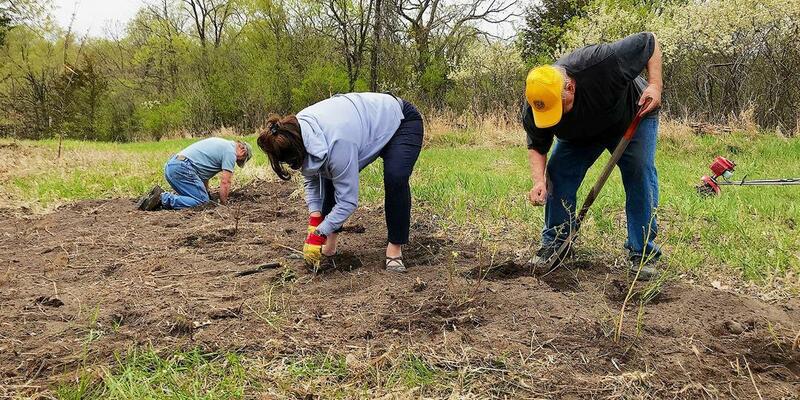 Up to 70 students have participated in some of the projects, indicating strong support for this new organization that goes beyond its members and suggests potential for real growth of this Interact Club to which our Monticello Rotary is committed. 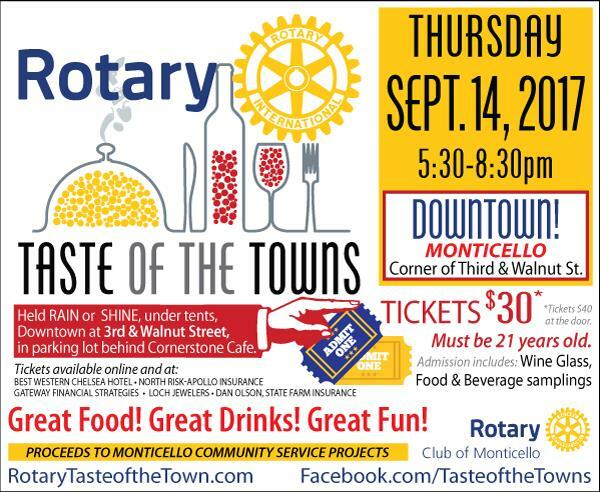 Welcome to Rotary Club of Monticello!